Veterinary Practice Financing – Eliminate the Stress & Headaches! VetFinancing.com helps veterinarians nationwide secure financing to start or grow their practices. We connect you directly with an experienced veterinary practice loan specialist who will take care of all the steps needed to get your financing in place at the lowest rates available .... quickly and easily. Starting a new practice or sourcing funding to grow your veterinary practice can be a time consuming and very complex process. Securing adequate financing at competitive rates is crucial to ensuring your success. Find out how all your practice financing needs can be taken care of so you can maximize your revenue potential from Day One. Don't miss out. Rates have never been lower! Veterinary Practice Loans Made Easy!! New construction of a veterinary building – Financing available for the land purchase, building construction, office furniture, veterinary equipment, and working capital. Lease hold financing – Lease a building or office space and borrow for tenant improvements, veterinary equipment, and working capital. Practice relocation – Relocate your existing veterinary practice into its own veterinary building. You can choose to buy the building and have the purchase and improvements financed. Or construct your own facility and finance the construction and startup costs as well as otaining access to working capital. Purchase the veterinary practice you are currently working at when the current doctor/owner retires. 100% financing available when the time comes to purchase the practice. 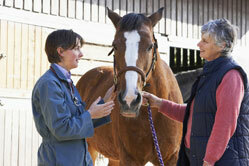 When you are ready to go out on your own you can purchase a practice from another veterinary doctor. Ensure you obtain all the financing needed to complete the transaction and have sufficent funds for your startup phase. Financing available for the buyout of your veterinary partner when he or she decides to sell. Be ready to own 100% of your practice if the time comes and your partner wants to sell. Obtain financing for veterinary equipment purchases or for monies to enable your veterinary practice to expand into more medical space and generate further revenue growth. Refinance your current veterinary practice debt to reduce your interest rates and payments. Some lenders shy away from debt consolidation if the deals are complex. However there are experienced lenders who take on complex refinances and do not view them as a problem. For a free consultation on your refinancing options please use our online consultation request form. No matter what your practice financing requirements there are specialists available to help get it done for you... quickly, easily and efficiently! For immediate assistance with your practice financing needs please call us at 1-888-988-2683 or use our quick and easy online request form. Locate veterinary practices for sale in your desired state or city. Get assistance with all aspects of searching for a practice, market demographics, valuation, financing and starting up your new vet practice. For more information please call us at 1-888-988-2683 or use our quick and easy online request form. 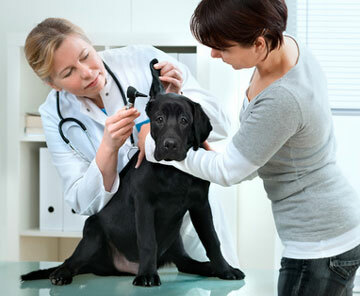 Veterinary Practice Financing. Every State. One practice financing specialist handles ALL your needs. You only deal with a single point of contact. Our lending partners are experienced in helping vets secure practice financing at highly competitive rates. They have access to some of the lowest rates available and a streamlined application process that means you can have an answer on a loan within a few days. Tailor-made financing for your practice situation (no matter what stage you are at in your career). Longer repayment terms help you keep your monthly expenses lower and under control. 90% to 100% of financing can be made available for startups, business expansion, practice purchases, partner buyouts, equipment purchases and more. Finance your practice without the need to have a downpayment. Willingness to look past credit problems that may affect your ability to secure veterinary financing with some lenders. Have a lender who will work with you. No matter what your practice financing requirements there are specialists available to help get it done for you... quickly, easily and efficiently! Submit your free quote request today and get personal friendly service and advice on the best options for financing your practice.